67 Not Out: Was This A White Dove Or Something More? Was This A White Dove Or Something More? 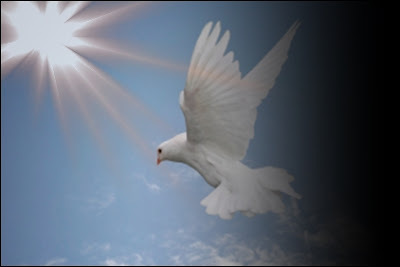 A short story today from a reader that connects with some of the white dove post published on 67 Not Out - but has a variation. Did she see a dove or was it something more. "I took a trip with my family to California. As we were heading home I received a call that my mother had passed, it was somewhat expected. "As my husband and I drove down the highway I saw a flash of white and large flapping wings fly across the road nearly overhead diagonally. I looked over at my husband and he said that he had seen it too. "We talked for about five minutes joking about how it probably was a garbage bag or something. Then all of a sudden from the other side of the road came the large flapping wings they looked huge, definitely not the size a dove should be, but the way the wings were and the tail shape I knew what it was. "I felt a sense of peace. I knew it was my mom's way of letting me know her spirit had began its journey. I will never forget the surreal feeling." I love the the dove/white feather stories. They are both comforting and miraculous, really, when you think about it.